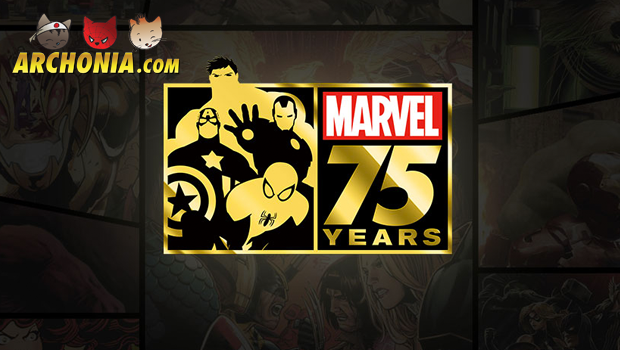 As you will probably already know, 2014 is the year Marvel celebrates its 75th anniversary. To see how they developed from a tiny comic producer to the multi-media giant they are today, check out ABC’s documentary “Marvel: 75 years, From Pulp to Pop!”. We are really excited about the cinematic future of Marvel. Just look at this amazing list of upcoming Marvel flicks, and you’ll know why. Next to that, the greatest suspense ever has been build up by Marvel through releasing 15 comic event-based teasers for summer 2015 and a mysterious “Everything Ends” teaser for spring 2015. In celebration of the 75 years we have been enjoying Marvel, ABC created a documentary to take us through a journey through their history. We begin with the start of **Timely Comics **in 1939. After that, we see the development towards the Marvel Age in the 60′s. Of course, the documentary also takes us to the great Marvel cinematic universe we know today. This week, ABC aired the documentary in the United States. The documentary is also available on their website, but only available in the Unites States. Luckily enough we were able to upload the documentary ourselves, so you can watch it right here! Note: Press “Play Now” on the right side of the screen and voilà, you can watch the video!